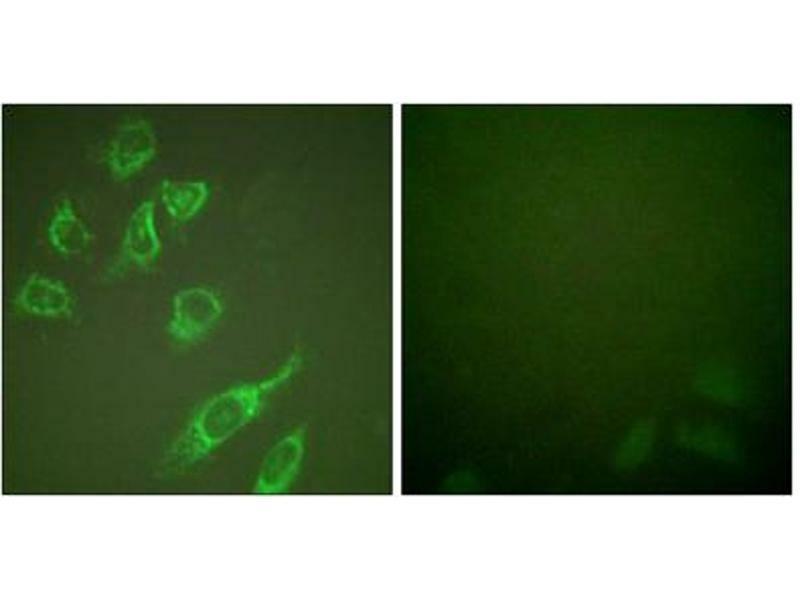 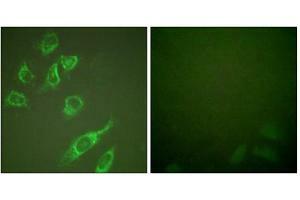 Immunofluorescence analysis of HeLa cells, treated with PMA (125ng/ml, 30mins), using 14-3-3 zeta (phospho-Ser58) antibody. 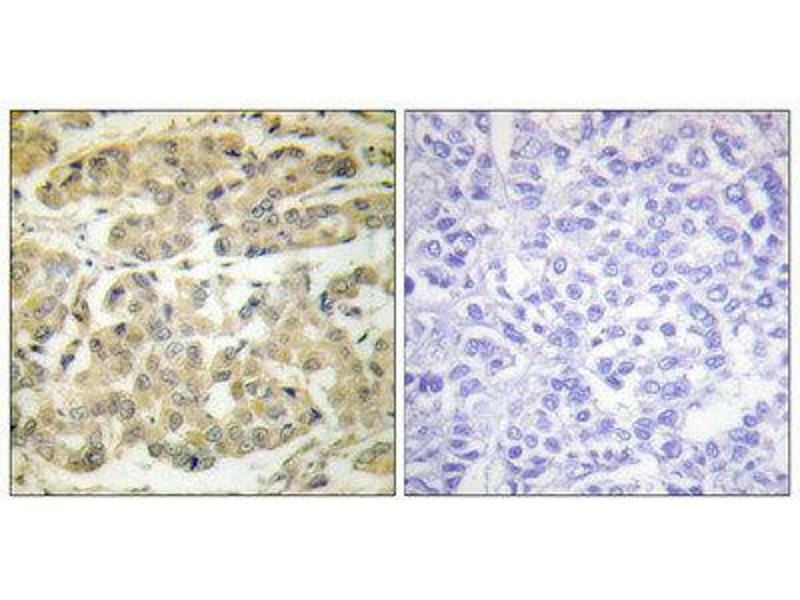 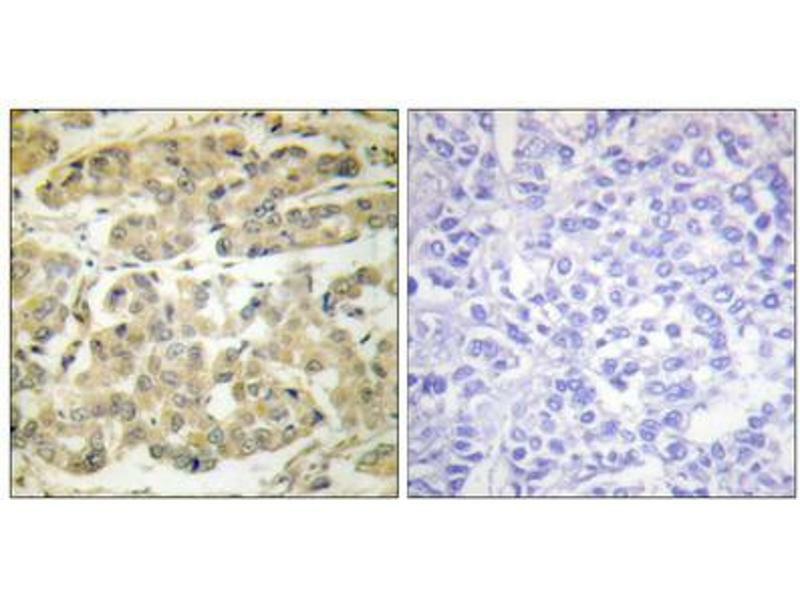 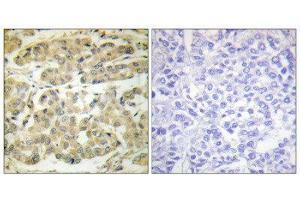 Immunohistochemical analysis of paraffin-embedded human breast carcinoma tissue, using 14-3-3 zeta (phospho-Ser58) antibody. 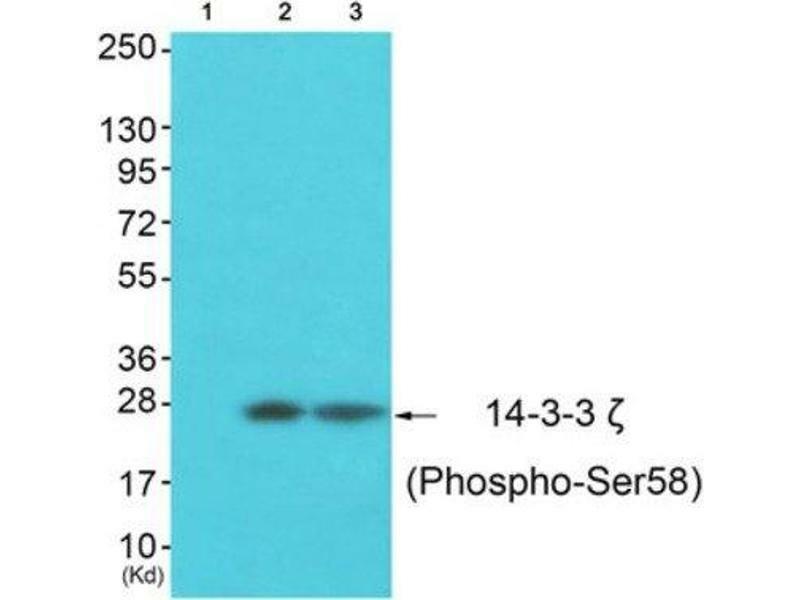 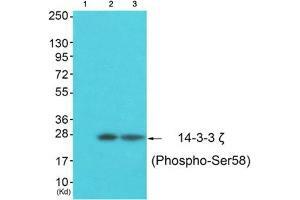 Immunogen The antiserum was produced against synthesized phosphopeptide derived from human 14-3-3 zeta around the phosphorylation site of serine 58 (R-S-SP-W-R).